Home » Featured » “Invest Now” Southern regional banks BB&T and SunTrust announced on February 7, 2019, that they will merge, creating the sixth-largest bank in the country, based on assets and deposits. “Invest Now” Southern regional banks BB&T and SunTrust announced on February 7, 2019, that they will merge, creating the sixth-largest bank in the country, based on assets and deposits. Southern regional banks BB&T and SunTrust announced on February 7, 2019, that they will merge, creating the sixth-largest bank in the country, based on assets and deposits. 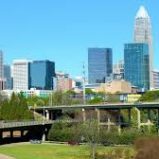 Work with a Charlotte, NC developer that is investing in rental housing and making great investment returns! The Bank’s corporate headquarters will be in Charlotte and it’s going to include a new information and technology center. The last big banking merger in Charlotte happened in 1998 when NationsBank bought Bank of America. Since then, the Charlotte Regional Realtor Association said that the average sale price of homes in Charlotte has almost doubled. 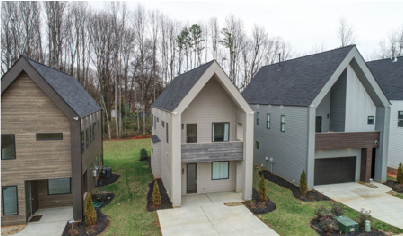 Sugartree Development Partners, a Charlotte, NC based boutique real estate development company is specializing in developing stylish and affordable single-family rental housing in rapidly expanding neighborhoods. Many of these areas have now been identified as “Opportunity Zones located within Charlotte’s developing light rail corridor. The six-acre site is located directly on the 73-acre Sugaw Creek Park and has a 2 acre dedicated tree save which spans across the rear of all 24 units. The Sugaw Creek Park offers 6 lighted tennis courts, a volleyball court, lighted soccer and baseball fields, picnic areas, a nature trail, and an 18-hole disk golf course. All of the site’s horizontal construction has been completed, and 4 of the 24 homes have been built and are currently being rented. Plans range from 1,839 to 2,344 heated square feet with the largest offering a total of 3,051 square feet under roof. The aesthetic is distinctly Scandinavian with clean lines and minimalist design surrounded by nature. The six plans are available in multiple facades and offer 2 car garages, covered porches, 3 to 4 bedrooms, 2.5 to 3.5 baths, owner suites on the main level, and office spaces. The smart open design provides a comfortable and efficient use of space, with 10 ft ceilings on the main level and 9 ft on the upper level. All homes are pre-wired for solar panels as a standard feature to increase resale value. SDP intends to rent 30% of the units as LTR and 70% as STR (Airbnb) and have the ability to adjust this allocation based on market demand to optimize rental profit. Sell a small number of units to private investors and manage the rentals. Form a Reg D 506c Syndication to offer accredited investors a way to directly participate in the project. Product Strategy: SDP is constructing mid-sized, energy efficient single-family homes with unique modern design features that should generate a high ROE when exiting the project via retail sales, after a three to five year hold period, designed to achieve above average NOI generated by STR rental revenue. Exit Strategy: The Developer intends to sell all the homes after a 3-5 year rental period to maximize the equity appreciation of the homes due to the projected development of the area being influenced by the BB&T/SunTrust Merger and the tax incentives provided by the newly established Economic Opportunity Zone (https://eig.org/opportunityzones) legislation. The neighborhood sits directly on a 73-acre park with a 2-acre tree-save that runs along the rear-yard of each house. The product is higher-end and should generate a significant equity return at the end of the project hold-period if sold retail. Airbnb revenue offers strong potential for outperforming returns. Brett’s PPM is available now!